Apple hardware is not what we would call "cheap," but these limited edition products are literally worth their weight in gold. Apple’s 40th birthday gave us the opportunity to look back at some of the company’s best (and worst) products throughout the decades. But what about Apple’s most expensive hardware? The Next Web has compiled a list of Apple gear that would certainly set you back a pretty penny. The two most-expensive products on the list, however, are enough to set you back over a million dollars. The high-priced pieces of hardware were both developed to be one-of-a-kind as part of a Product (RED) charity auction in 2013 to raise funds to fight AIDS in Africa. The limited edition products were designed by Apple’s Chief Design Officer Jony Ive and Marc Newson, the Australian industrial designer who went to work in Cupertino shortly after this collaboration and is now considered the man behind the Apple Watch. These EarPods may not look radically different from the $29 pair Apple sells, except they are worth almost 16,000 times that price. What makes these particular EarPods so special? Perhaps it’s the fact that they were crafted out of solid 18-karat rose gold. 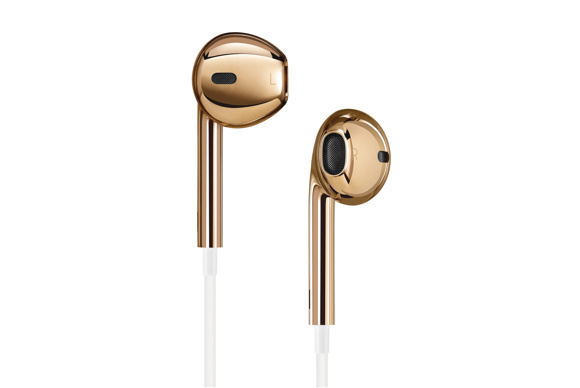 Sotheby’s originally estimated that these solid rose gold EarPods and their limited edition display case would sell for about $20,000 or $25,000. They ended up going for $461,000. Apple would continue making products using 18-karat rose gold, most recently in the Apple Watch Edition. That Apple product line has a more “reasonable” price tag: The Watch Edition can cost from $10,000 to $17,000. This special edition Mac Pro is possibly the most expensive personal computer ever sold. It’s also the reddest. 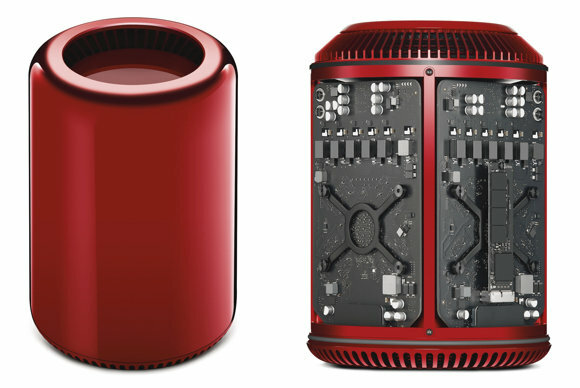 The Product (RED) computer features the same unmistakable cylinder design and it’s the same dimensions as the black Mac Pro. However, Ive and Newson made it fire-engine red. The Product (RED) Mac Pro also has 12-core Intel Xeon processor, double that of the $3,999 Mac Pro. At the (RED) auction, Sotheby’s estimated this super-computer to go for somewhere between $40,000 and $60,000. But one bidder almost paid a million bucks for this, shelling out a whopping $977,000. Hey, it’s for charity.